Well, I recently caved and bought a few more Famicom carts. (What a shocker, right?) Which games did I pick up? I think I'll reveal one of them now, and the other tomorrow. 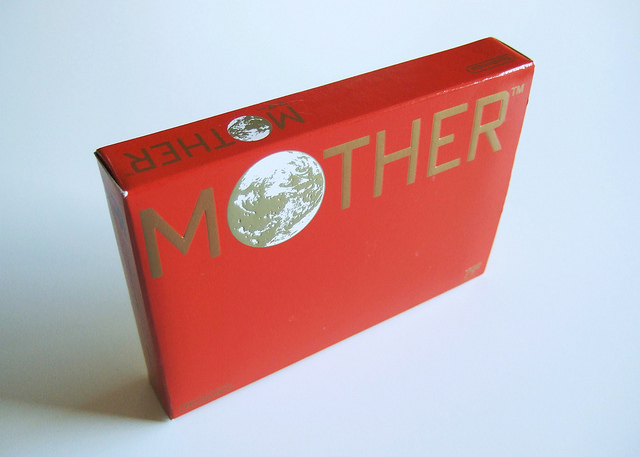 Today's reveal is none other than a complete-in-box copy of Shigesato Itoi's Mother (aka EarthBound Zero). I've been eyeing up this game for some time, so when I saw a cheap-ish copy show up on eBay a few weeks back I pounced on it. While waiting for it to arrive, I began playing through the unreleased prototype of the North American version of the game (the aforementioned EarthBound Zero). Although its graphics can't compare to its slick-as-snot sequel, Mother/EarthBound Zero holds its own in pretty much every other department. For starters, it's hilarious--with my favorite line thus far being, "Rat uttered dirty words." Also, it has a great soundtrack. (I'm especially impressed with the varying battle themes.) Most importantly, though, it's just plain fun. Nice buy! 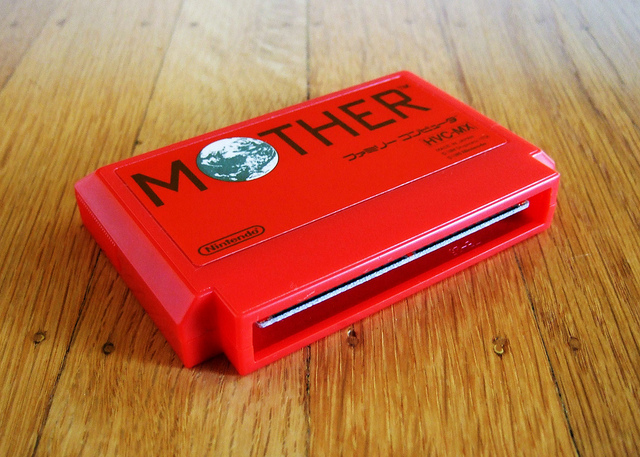 I like the Mother cart. It is the reddest cart out there. By far. My curiosity is piqued. What other game did you get? No, I'll wait until tomorrow for the grand unveiling. As for the other game, well, it's really not a big deal. Honestly, I would say Mother is the bigger deal of the two. I just split them up because I wanted draw out the posts. Sweet! I need to get around to playing this soon. I know the Japanese are crazy about it! If you're a fan of 8-bit RPGs, RetroKingSimon, you should give it a try. Have you ever played the *real* EarthBound, the sequel to this game, released on the SNES? I know it wasn't released in Europe, but I guess you could have imported it? Ha ha! Sorry, Justin :) Have you ever played EarthBound Zero, BTW? If not, you should. I know you love EarthBound, and I think you'd get a kick out of this one, too. Yeah. I had the ROM a long, long time ago. I never finished it, but I played enough of it to know that it was so similar to Earthbound that it turned me off a little...but I think if I'd have played it first, I would have enjoyed it more. I did appreciate the level of freedom in the game. 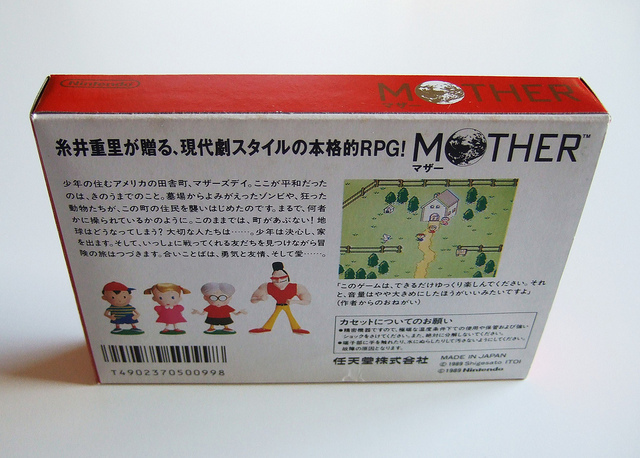 It is pretty similar to EarthBound, isn't it? I've been trying to figure out if the 16-bit game was meant to be a sequel or a remake of the first game, and as far as I can tell it's supposed to be a straight-up sequel -- yet why are they so similar? Strange. It's very, very remakey. I think that's a little bit whit turned me off about it. But ... Mother is the original. EarthBound is the remake! Did you just feel like you were going over known ground when you played Mother? Which one are you going to play? The Famicom/NES version or the SNES one? (They're not the same game, but they're definitely similar.) If you're only going to play one, you may want to go with the SNES version, as it's definitely more polished.